In a culture buffeted by widely divergent philosophies, we need to learn to stand on the solid foundation of Scripture and to understand the faith as a total worldview. 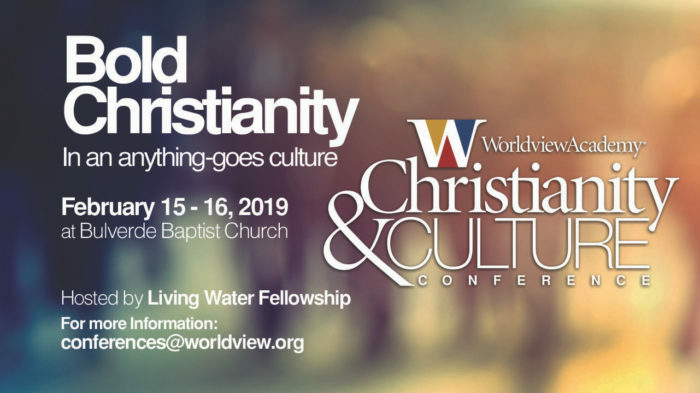 Join us February 15-16, 2019, at Bulverde, Texas. for two-days of encouragement and growth. $15 per individual and $45 per family. At the door, the cost is $20 per individual and $50 per family. All registrations include lunch on Saturday. Saturday 9:45am-4:45pm with a break for lunch.